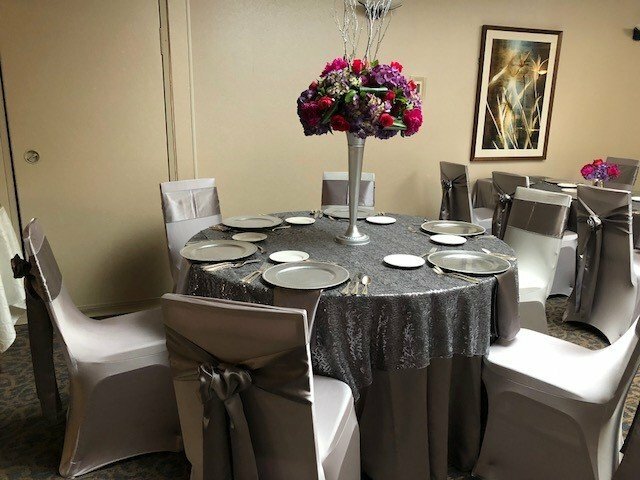 Our new Dark Grey Leaf Sequin table overlay rental is definitely Beyond Elegance has often been described as "breathtaking". The overlay is constructed from a brilliant sheer fabric with sequin embroidery throughout the fabric. We also off the same fabric in an extra table runner for rent.